John M. Desiderio, Partner and Chair, Adam Leitman Bailey P.C. At the beginning of the new millennium, in an elevator at 26 Broadway, I met Adam Leitman Bailey. He explained that he bartered doing work for a landlord in exchange for office space. He had no employees and was single. He had more work than he could handle and asked me if I could help out with some of the overload. As such, I became the first member of the team. In 2000, he was not the pre-eminent statesman where each sentence out of his mouth sounded presidential. He spoke so fast that he ate his words trying to make a point, oftentimes due to having a photographic-type memory that can remember the smallest detail. And instead of the more circumspect attorney he would come to be, he would be happy to tell anyone his legal prowess. But despite these flaws, I realized that Adam had an amazing mastery of the law, cases, and could cite the law and its history like reciting the alphabet. He had a vision for the firm where he could foresee how a case would likely be resolved at its very commencement. To this day, I have seen only one case where he did not predict the strategy correctly, as well as the steps the adversary would take on the voyage. Adam is a master of the game of law and the greatest negotiator any of us at the firm have ever encountered. Over the years, he has known when to press hard and the exact moment to step back without blowing the deal or a negotiation. 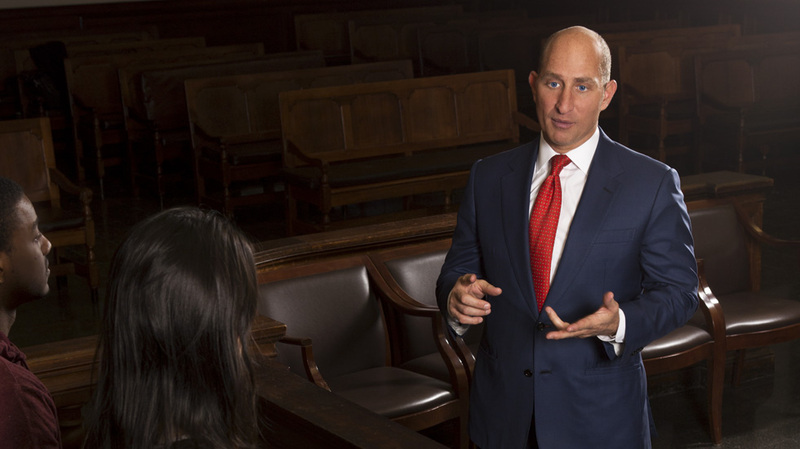 As a former competitive athlete, he understands that he should fight hard for the client on the court and then be friends with opposing counsel when not speaking about the case. Adam has always loved lawyers and intellectual pursuits and we bonded over our love of Lincoln, Churchill, and Hamilton, and somehow found time to buy each other books about our heroes. But Adam was not reading about our heroes for fun, but rather learning from their lives to assist in making himself a better leader. As I watched Adam reach for stardom, despite his powerful, persuasive writing and his ability to try cases, it took me a number of years to realize the rareness of his being, and to be sold on spending the rest of my career with him. I am often asked what makes Adam Leitman Bailey. Firstly, he is the most aggressive person I have ever met—but only in thought and actions. Many are surprised at how quiet or laid back he can be when they meet him for the first time, at least until he understands all of the facts. He is the hardest working person anyone that has worked with him has ever encountered. Because he exercises seven days a week and eats extremely well (and chides me for the pizza and hot dogs I occasionally have for lunch), he credits his healthy lifestyle and work ethic with being able to produce more. I have never seen him eat a piece of cake or finish a glass of wine. He has also never missed a day of work since I have met him. For clients he has missed vacation days, worked late nights for all of the 18 years I have known him, and he will always remind each employee at the now 26 attorney firm that we are only as good as today’s work and how we helped today’s clients. Although the firm may be involved in many of the most controversial cases of almost any decade, personally Adam lives a very mundane life. Besides exercise and sports, he does not have any hobbies. He does not socialize often and tries never to be taken away from his family on weekends. To be blunt, Adam may be an exciting conversationalist, but he lives a very boring personal life. Some of Adam’s greatest achievements are outside of the courtroom. When Adam started his firm, he devised a few theories on hiring, and almost two decades later, he still follows them. He was always recruiting but never hiring, unless the candidate fit into the firm’s unspoken mission. Early on in our years, I watched how he pursued and eventually recruited the leading landlord-tenant attorney in the State to become part of our firm. Adam would show up at events he knew the candidate would likely be attending and then invite him to dinner. Adam made the firm one of the first law firms, if not the first, to adopt alternative working arrangements that permit attorneys to work at home. He realized that, by doing so, a no-name firm could attract better attorneys. Adam then saw how he could benefit from other law firms’ discriminatory practices. He is a grades snob—and from the schools from whose ranks he preferred to recruit he noted that the resumés he deemed most qualified were those from women and minorities. He would receive less resumés from males as they already had jobs. Today, the firm’s employees speak 10 different languages and employs 26 female employees (over 50 percent of the firm). But that is just the beginning. Most of the female attorneys Adam hired out of law school may be the best attorneys in their field, and have built incredible court and transactional records. The firm is always teaching and building its staff and attorneys professionally and personally. Adam set the firm to follow a holistic philosophy, aimed at helping all employees reach their full potential by ensuring that each is happy in his or her professional and personal life. The firm has only lost two attorneys in the last decade. The credit does not entirely lie with Adam’s attention to the firm’s caring work environment, but also to the firm’s revenue sharing formula the benefits of which are extended even to first year associates. Our firm pays more than many of the largest firms and it has a big heart. During the last 19 years, attorneys have had cancer, heart surgery, and an attorney’s husband was shot dead in front of her during a robbery. In each case, Adam has done more for his legal family and their families than anyone could imagine. The firm is successful because it is a full-service real estate firm. Adam believes that the firm should be the best at what it does, and what it does is practice real estate law, and only real estate law, and only within the five New York City boroughs and the Counties of Nassau, Suffolk, Westchester, and Rockland County. The firm will not take a case unless the matters on which the client’s interest depends are in some way dependent upon the application of real estate law to that client’s problem. The firm makes sure that they are very familiar with every judge they appear before, including the judge’s past opinions and predilections. Adam jokes that he will not argue before a judge where he does not know where the judge grew up and his or her children’s names. Accordingly, the firm has separate divisions that offer legal services, in distinct, but related, real estate practice areas: (a) complex real estate litigation matters heard primarily in New York State Supreme Court and in New York federal district courts, (b) landlord-tenant disputes heard in the housing part of New York City Civil Court, (c) title insurance and foreclosure cases, (d) commercial and residential lending and purchase and sale of buildings and homes as well as leasing transactions, and (e) handling appeals of real estate issues from decisions in the lower State or federal courts within New York. In addition, one of the sub-areas the firm has developed and maintained is a very active and successful practice involving the construction and governance of condominiums and cooperatives. The firm represents developers and condominium and cooperative boards, as well as individual persons who have issues against developers and/or their condominium or cooperative boards. The firm’s experience in these matters makes it able to provide assistance in all such cases, no matter who the client may be. The attorneys assigned to each of the firm’s departments are among the best in New York. Attorneys collect and analyze the facts of the client’s problem, select the right theory to present and represent the client’s claim or defense, negotiate an amicable resolution without litigation if at all possible, commence or defend litigation brought on behalf of or against the client, engage in all reasonable discovery efforts to obtain all pertinent evidence necessary to support the client’s position in the case, draft excellent legal papers in motion practice conducted in the case, try the case with expert skill when settlement is not possible, and handle any necessary appeals persuasively, in both written briefs and in appellate argument. 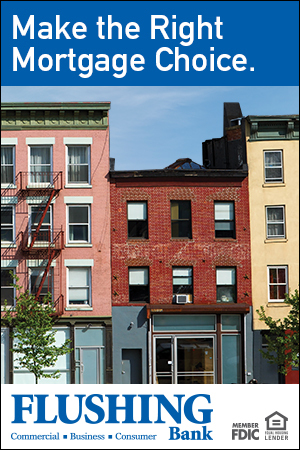 Over the years, the firm has handled cases that have had front-page New York Times coverage involving legal issues of great interest not only to New York real estate law generally, but also to national real estate law. As a result of the firm’s successful challenge to the failure by New York developers to comply with the federal Interstate Land Sales Act (ILSA), the Congress of the United States was prevailed upon to amend ILSA in order to ensure that certain longstanding practices of the New York real estate industry could continue without disrupting rules that had been understood to apply to new construction for decades, but which the firm’s legal victories under ILSA had otherwise targeted for revolutionary change. The firm also brought a case against the Trump Soho Condominium, which was called a “watershed case,” changing the way developers advertise their sales, prevailing in the only real estate case where Donald J. Trump surrendered. In the title insurance/property rights arena, two of the firm’s cases have made new law in the industry—one case on the new adverse possession law and the other on an interpretation of the recording statute. In landlord-tenant cases, the firm set expanded the law with respect to non-primary residence cases and made new law affecting nuisance cases. The firm also still holds the largest settlement in condominium history and made new law on the ability of non-shareholders to sue a board of directors, as well as winning a landmark victory in a housing discrimination case. In addition, as a testament to Adam’s devotion to justice and the civil rights of all persons under the Constitution, the firm successfully represented the owner of the property on which the infamous Ground Zero Mosque was proposed to be built. Adam also nearly singlehandedly organized the “Save Harlem” effort to prevent the destruction of one of Harlem’s historic buildings as part of a major developer’s effort to remake the character of the neighborhood. These are only a small sample of the kind of “big”matters that the firm, under Adam’s leadership, has tackled fearlessly in the past and which the firm is ready to take on in the future should the opportunity present itself. However, the firm has also over the years represented thousands of clients in matters that have not gathered any notoriety, but which have been of the utmost importance to the individuals involved. Those individual clients have been given and received the same level of dedicated legal service that the firm has provided in the more publicized cases. Under Adam’s leadership, I am confident that the firm’s record in this regard will continue for many years to come.